Production of the last Sherman variant, the M4A6, began in 1943. Built around a new massive multi-fuel air cooled radial engine, the M4A6 featured a cast front hull joined to a welded middle and rear hull. The M4A6 and some late production M4 (75)’s are the only Sherman tanks produced with this type of composite hull configuration, and both models are popularly referred to as ‘composite Shermans.’ The US Army initially required 775 units but production halted at 75 units, running from October 1943 to February 1944. During the design and production of the M4A6, the US began to shift towards gasoline powered tanks. Subsequently, the M4A6 was never operationally deployed or exported. M4A6 undergoes testing at Fort Knox – Photo Credit: Merriam Press. WWII in Review: Sherman Medium Tank M4. An engine development program which started in 1942 initiated the new M4 variant design. The new engine was a Caterpillar Tractor Company produced air-cooled radial multi-fuel engine. In November 1942, the Ordnance Committee ordered a new experimental medium tank for the engine, designated the M4E1. 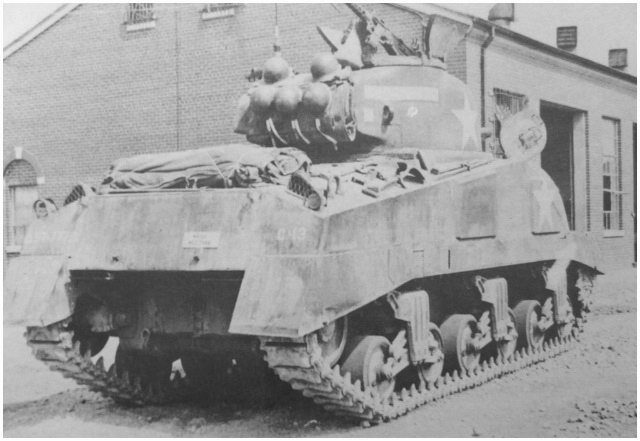 The Chrysler-built M4E1 was based on the elongated hull and chassis of the M4A4, which had also originally been built to accommodate its own large engine. The M4E1 design called for slight modifications to the M4A4, primarily the addition of rectangular bulges on the rear deck and floor to accommodate the larger engine. The 12th production M4A6 at Fort Knox with the distinct rear deck engine bulge – Photo Credit: Roger Ford, The Sherman Tank. 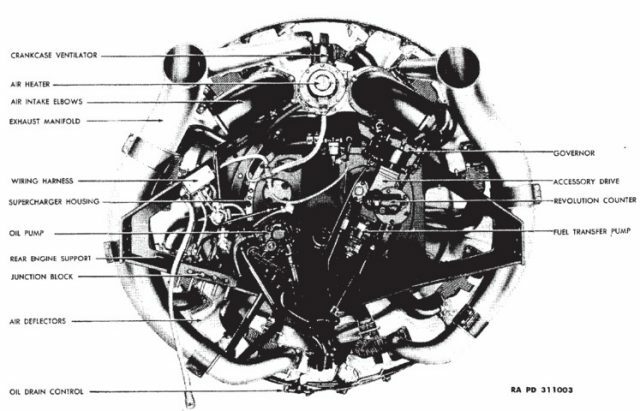 The M4A6’s engine was based on a air-cooled supercharged radial petrol powered aircraft engine. The air-cooled engine, a version of the Curtiss-Wright R-1820 Cyclone 9, was widely used on aircraft from the 1930s-1950s, including the Boeing B-17 Flying Fortress. Caterpillar Tractor Company converted the engine to a fuel-injected diesel, keeping the cylinders, crankshaft and supercharger from the original, but designed new pistons, cylinder heads and lubrication systems for the M4A6 power plant. The modified engine was designated D­200A. The new engines were multi-fuel capable and able to operate on a range of petroleum from diesel to 100 octane gasoline. Fitted with a new transfer case capable of increasing shaft speed to 1.5 times that of the crankshaft, the new engine produced 450 horsepower at 2000 rpms. After completing satisfactory testing and performance trials, the Ordnance Committee changed the D200A’s production designation to RD-1820. Modified Wright RD-1820 engine – Photo Credit; R.P. Hunnicutt. SHERMAN: A History of the American Medium Tank. 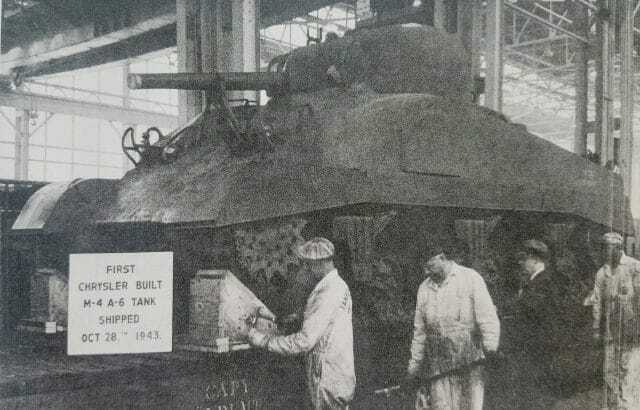 In December 1942 the first M4E1 began testing at the Caterpillar Proving Ground. By May 1943, two additional M4E1’s were shipped to Fort Knox and a fourth shipped to General Motors Proving Grounds. Testing of two M4E1’s at Fort Knox (registration numbers W-3056693 and W-3057623) identified problems with the gear train, clutch, and scoring between piston and cylinder walls. Once these problems were addressed the Ordnance Committee ordered 1000 of the new engines and directed 775 of them to be installed in the new production version medium tank, the M4A6. The remaining engines to be installed in M4A4s hulls for extended testing. At a production cost of $64,455 per tank, Chrysler began production of the M4A6 at Detroit Arsenal and shipped the first M4A6, registration number 3099687, on the 28th of October 1943. The production M4A6 design differed from the M4E1. The M4A6 utilized the longer chassis and welded hull of the M4A4, but included a new large cast front hull. Construction of a cast front hull married to a welded rear hull had been done previously on late production M4’s, but the M4A6 required the longer M4A4 chassis/rear hull to accommodate such a large engine. The single cast housings were more rigid than the previous three-piece bolted front end designs and allowed for easier installation and maintenance of the differential and final drive. The M4A6 cast front hull featured a sharp nose to improve ballistic protection and differed from the more rounded front cast as seen on some late M4’s. M4A6 production Registration numbers run from 3099687 to 3099761. First production medium tank M4A6 at Detroit Arsenal, registration number 3099687 – Photo Credit; R.P. Hunnicutt. SHERMAN: A History of the American Medium Tank. The new design featured a larger driver’s hatch and included a traveling lock for the 75 mm (2.95 in) gun. Extra appliqué armor was welded over the sponson ammunition storage racks. The gun utilized the M34A1 gun mount. 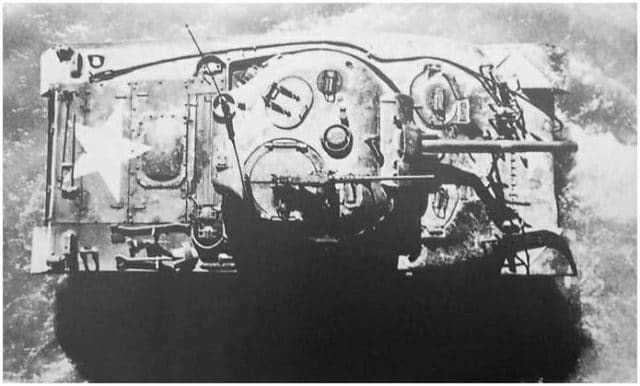 Some early models did not include pistol ports but were later added and both versions can be seen in early production photographs. 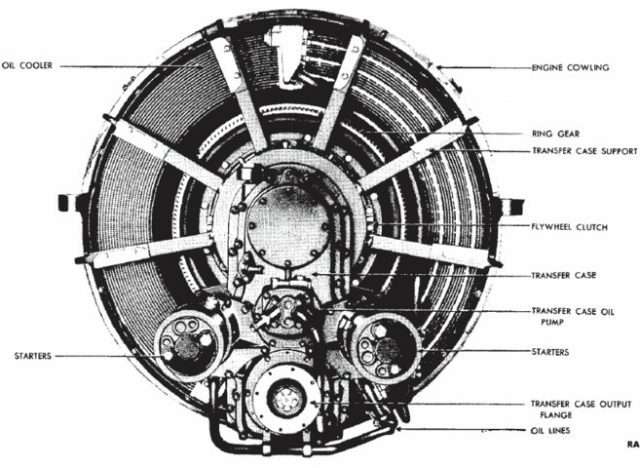 The pistol ports were specified in the production design drawings but inclusion likely varied due to available stock turrets at production time. Despite the M4A6’s higher levels of performance and fuel economy than previous Sherman variants, in February 1944 M4A6 production was discontinued after only 75 vehicles and declared Limited Standard on the 3rd of May 1945. 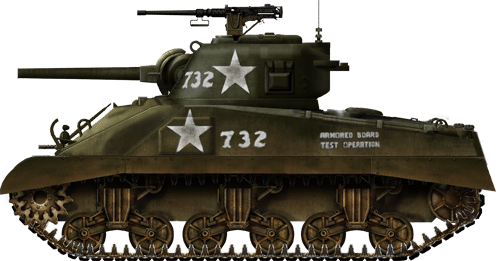 The US Army decided to concentrate on gasoline-powered tanks like the Ford V8 powered M4A3 and the remaining M4A6’s were delivered to training and testing units. While serving at the Armored Center at Fort Knox, C Company of the 777th Tank Battalion received M4A6s for testing/training but were reequipped before deploying to combat in February 1945. Although M4A6’s were never exported, under the British nomenclature system the M4A6 was designated the ‘Sherman VII.’ No surviving M4A6’s are known to exist. M4A6 at Fort Knox with C Company of the 777th Tank Battalion – Photo Credit; R.P. Hunnicutt. SHERMAN: A History of the American Medium Tank. Hunnicutt, R.P. Sherman: A History of the American Medium Tank. Vermont: Echo Point Books, 1978. Ford, Roger. The Sherman Tank. Wisconsin: MBI Publishing, 1999. Merriam Press. WWII in Review: Sherman Medium Tank M4. New York: Merriam Press, 2017. Ware, Pat. Images of War Special M4 Sherman. London: Pen & Sword Books, 2014. Green, Michael. M4 Sherman at War. New York: Zenith Press, 2007. Berndt, Thomas. Standard Catalog of U.S. Military Vehicles. Iola, WI: Krause Publications, 1993. * “Catalogue of Standard Ordnance Items-Tanks and Automotive Vehicles” , Office of the Chief of Ordnance, Washington, D.C., June 1945. * “Report on Modifications of the Medium Tank M4 Series, Project Number P-426” , The Armored Board, Fort Knox Kentucky, 26 January 1944. We’re planning to add a lot more Sherman variants and an entire rework of the Sherman article. Thanks for reading. As mentioned, we are adding more, and some are currently in work now. Great article, been researching the M4A6 for some time, and keep running into inaccurate info. In 2005, these photos were taken in Corrientes, Argentina from a Sherman with 105mm cannon modernized in Argentina years ago. The chassis seems to be the M4A6. These tanks were formally British Firefly IC Hybrid. It was the basic M4 with the same cast nose as used in the M4A6, the most obvious difference is that these do not have the lengthened hull that the M4A6 does.